cell layers of the retina. the rods are circled in red. 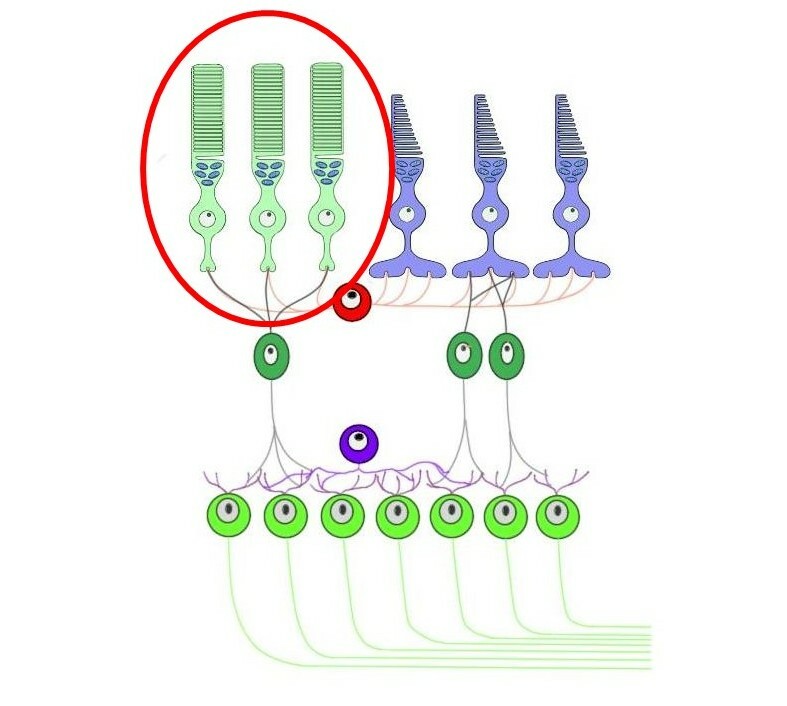 photoreceptors that are involved in mediating black and white (achromatic) vision. Visual acuity with rods is relatively low.